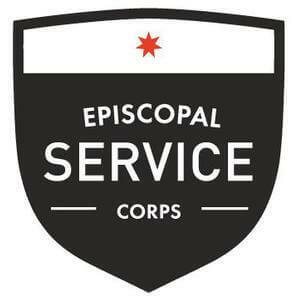 The Episcopal Service Corps thrives to work in communities throughout the United States and serve programs from addiction, homelessness and refugee services to arts education and health and nutrition. Currently accepting applications on a rolling basis. Submit your application before positions fill up. Our communities are marked by young adults serving others in solidarity, promoting justice in community, and deepening spiritual awareness, vocational discernment, and professional development, while living in intentional community. Corps members serve up to 40 hours in partner agencies. Up to 8 hours a week is spent in personal and professional development as a team. Corps members work 32-35 hours at a community agency (that varies based on interest and skills), and spend one day a week dedicated to vocational, and leadership development. Members also become involved with the Harrisburg community. Corps members serve 35-40 hours in partner agencies. Up to 12 hours a month is spent in personal and professional development as a team. Corps members serve up to 32 hours in partner agencies. Up to 6 hours a week is spent in personal and professional development as a team. 3 hours are spend working in the Peoplestown community. Corps members serve 32 hours per week in partner agencies. Up to 8 hours a week is spent in personal and professional development as a team. Transforming individuals and growing courageous communities through prayer and action by: -encountering the other to engage all -prayer and listening for a lifetime of practice in action -risk taking to lead to a lifetime of courage -simple living for a lifetime experience of navigating complexity -nourishing individuals and communities through conflict and failure for a lifetime of shared leadership Colorado Episcopal Service Corps embraces and celebrates the diversity of Colorado, from ranchers, to snowboarders and city folk and college communities. Colorado has vegans and cattle ranchers, we have mountains and prairies. The world’s billionaires play on our slopes and our undocumented workers, working poor and homeless struggle to make it through each day. Our programs engage in this diversity around the state, with all of God’s children, rich and poor, while participating in common prayer and spiritual practice. We have a house in downtown Denver, Saint Columba House, and another house in the storied mountain town and ranching community of Steamboat Springs, Centennial House. Colorado Episcopal Service Corps is engaging young adults with a compelling program of spiritual formation, Rule of Life, and outstanding opportunities for service and reflection. In the process, Colorado Episcopal Service Corps is tapping into some of the most vibrant communities and churches in the diocese. Life Together is a Boston-based program focused on cultivating the next generation of prayerful and prophetic leaders, through spiritual practice, social justice, leadership training, and community building. Our fellows range in age from 21 to 32 and come from a diverse range of racial, economic, geographic, and religious backgrounds. We believe in radical welcome and renewing the Church as a school of love, and we offer space for personal and spiritual transformation alongside an opportunity to impact the greater Boston community. Housing with all utilities paid, health insurance, and a modest living stipend are provided.